View the latest projects from across our experienced network of Project Marketing experts. An apartment should offer a lifestyle choice, but why be limited to your four walls? How nice would it be to escape the daily grind in a landscaped environment that offers privacy and views? The architects, Architecture Design Studio, had those ideals in mind when they created Penrith's newest landmark. Living at Sky Garden means you get to escape to a rooftop paradise whenever you need to. Designed with a communal barbecue area, private chill out zones, strategic privacy screening planter boxes and shade creating pergolas. All of this positioned exclusively on the rooftop of a building with views across to the stunning Blue Mountains. Whether you're looking for drinks, dinner, shopping or entertainment you'll find it all within walking distance of Sky Garden Apartments. Travelling further afield is equally convenient, reach Penrith or Kingswood Station on foot or the M4 motorway in minutes. From there the Sydney CBD is only 50 minutes away. With the new Western Sydney Airport within a 25 minute drive, the rest of the world will also soon be within easy reach. Land by the beach is getting more and more difficult to come by and this is as close as you're ever going to get for vacant land on the Mid North Coast. Situated in Dunbogan, just 30 minutes South of Port Macquarie this pocket of paradise is pristine and perfectly peaceful and quiet. The golden sands of ht eun touched Dunbogan beach provide ample opportunities for fishing, walking, swimming, surfing or just lazing about in the sun. Less than 5 minutes drive to the town of Laurieton and all of your necessary amenities. This is the final development of the original First Fleet estate and will see 85 new lots released with the first stage consisting of 13 new lots and currently being offered for sale. Land is registered and ready to go with all services available. Land sizes between 557sqm – 790sqm available and priced between $280,000 and $325,000. Ocean Verge is located in the highly sought after beachside locale of Kings Beach on the Sunshine Coast. With SIX beaches to choose from (Kings, Bulcock, Golden, Dicky, Shelly and Moffat Beach) the enviable coastal lifestyle is at your doorstep along with a huge selection of cafes, restaurants, beachfront dining, walking tracks and open parks at your disposal. Boutique in scale and architecture, Ocean Verge Kings Beach offers just 40 apartments, all with secure basement parking, and rises 7 levels providing stunning ocean views, spacious designs and exacting attention to detail with premium fittings and fixtures. The Cosmopolitan Cotton Tree delivers a unique, inspired and integrated residential development and an exquisite coastal lifestyle opportunity. Inspired by the shifting sands and waves of this beautiful coastal region. The 142 prestige apartment project breathes additional life into its vibrant locality and transforms how you think about luxury. The best qualities of intelligent architecture have been incorporated into the creation of this premier waterfront location with timeless elegance of the design testament to contemporary sophistication mixed with urban character and embraces the spirit of the idyllic coastal lifestyle. Rare and stunning Birdwing Forest Estate allotments represent a rare offering of 49 large homesites located on Buderim's prestigious and leafy northern slopes one of the most sought after residential localities. Large vacant home sites of this size are few and far between with this boutique neighbourhood presenting a very unique opportunity. A limited and select group of home seekers have the choice of wide frontage lots averaging more than 1000m2 in area and supporting a wide variety of building styles and budgets. ‘Birdwing Forest Buderim' is complete, ready to build on and waiting for you to choose your new address. Live right in the heart of the booming Maroochydore Urban Precinct, a stroll to beaches, cafes and entertainment with views up the northern coastline sound? Every amenity is at your doorstep, 1000's of jobs only a 5 minute walk away with prosperous growth opportunities evident for the Plaza Central Apartments owner. 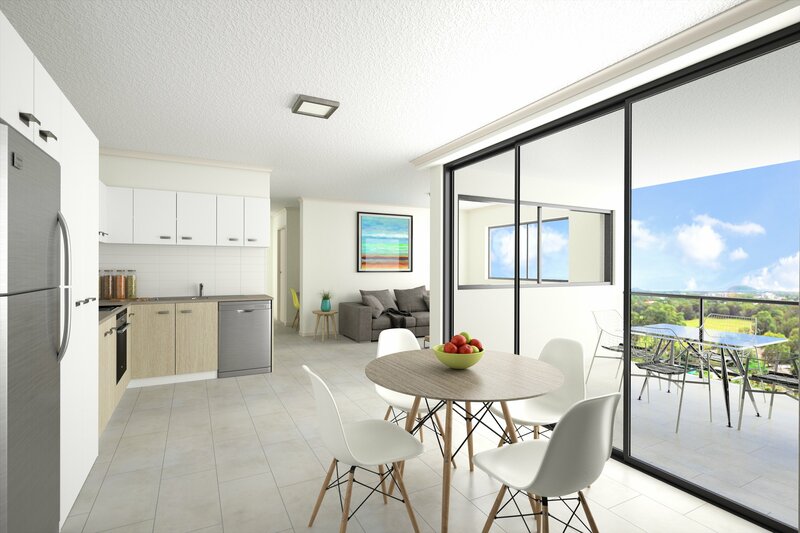 From $299,000 for spacious North Facing executive 1 bedroom apartments and from $322,000 for 2 bedroom apartments Plaza Central represents outstanding value for money in THE best location on The Sunshine Coast. Sitting atop a naturally cascading topography, Star Kelly 21 is one of the tallest buildings in North Kellyville. With 52 luxurious, grand apartments distributed across 5 storeys, Star Kelly 21 offers an incomparable bird’s eye view of Kellyville and overlooks the Blue Mountains in the distance, so that you may enjoy the breathtaking beauty of the mountains and the valleys. One Airlie presents a collection of 12 exclusive Whitsundays beachfront land offerings. Absolute ocean frontage, the reef at your fingertips and convenient mainland access enables a life without limitation. With site boundaries determined by the high tide mark, there's literally nothing between you and the wonders of the Coral Sea. Funnel Bay is a 55 acre waterfront development surrounded by pristine National Park and the Great Barrier Reef Marine Park. Just a single step through your front gate lands you on a secluded beach in the world famous Whitsundays. Funnel Bay's 14 beachfront sites are ready for you to build your dream home. Experience city living in the tallest, most luxurious residences ever to grace Newcastle's skies. Two elegant towers soar upwards, capturing spectacular views over the harbour, ocean, city and parklands. Created by acclaimed architects Hill Thalis and CKDS, each floor contains a maximum of six apartments, all featuring generous open-plan living spaces with abundant natural light. Velare is a collection of boutique townhouses located in the leafy suburb of Elermore Vale, just 13km west of Newcastle CBD. Designed by architecture studio Tonic Design, and developed by Treelight Development Group, Velare offers 28 townhouses with either 2 or 3 bedroom designs, each with considered potential for investors and owner-occupiers alike. Quattro represents the very best in apartment living in Indooroopilly. This premium, boutique building is home to 17 spacious apartments ranging from 95m2 to 199m2. The complex is a striking addition to the suburb’s landscape which features an ultramodern exterior design. A feeling of quality is evident throughout the apartments which incorporate high level finishes in bathrooms and kitchens. Residents have a world of entertainment at their doorstep, with Indooroopilly Shopping Centre, Brisbane’s premiere retail precinct, at the end of the street. Quattro is set to become one of the area’s most exclusive addresses.